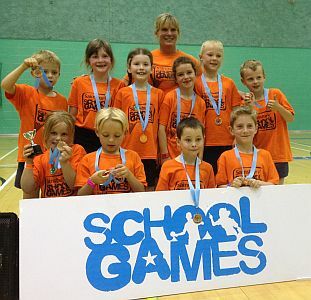 Today (25th June) we took a team of ten Year 2 children to take part in the Sainsbury’s School Games Infant Agility Finals. The children had to work hard to score a high individual score which was then totalled up to make a team score. They took part in many athletics activities such as long jump, javelin, relay, hurdles, chest pass and bowling throughout the afternoon. The St John’s team were also took 1st place for overall teamwork. Well done to all pupils for taking part and showing our school values when representing St John’s.